But don't get excited just yet. It's not what you think. 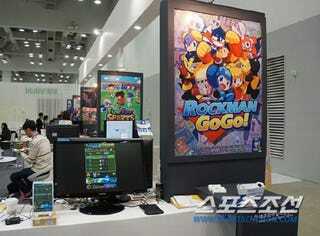 Titled Rockman GoGo!, this is an officially-licensed Mega Man (aka Rockman) title for Android. While Capcom signed off on the game, it was developed in South Korea by a studio called Jenoi. Looks okay for an Android game, but less so for a Mega Man game. Oh well.